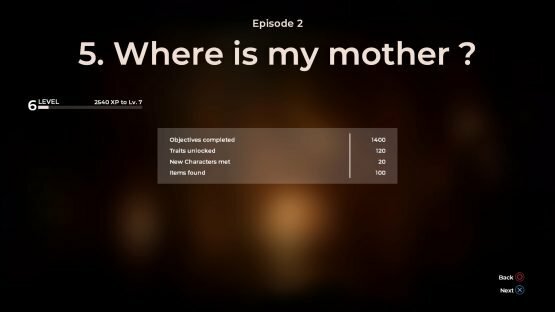 Back in March, Big Bad Wolf released the first episode of The Council, the developer’s take on the narrative adventure genre. They hope to revolutionize the genre with choices and character growth that really matters, and the first episode, The Mad Ones, left me with a promising impression of what’s to come. Now, the second episode, Hide and Seek, is out, but unfortunately this episode doesn’t live up to the lofty standards The Mad Ones set. When I ended my playthrough of The Mad Ones, I was not in a good position. I decided to spend time with a certain character, and that very character ended up dead at my feet, through no action of my own. So for me, Hide and Seek opens with Louis having to defend himself against a murder that he didn’t commit. 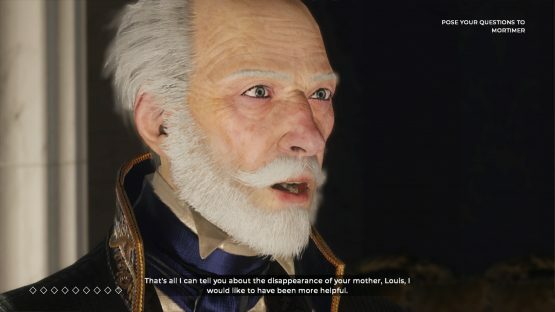 After I proved to Lord Mortimer and others that Louis was drugged and that he was innocent, it was back on the trail on finding his elusive mother, with the ever cryptic clues she left behind. Had I have made another decision at the end of the first episode, things may have been a bit less dramatic, but the outcome would still be the same. The character would still be murdered, and Louis would still be looking for clues on his mother’s whereabouts. It’s a bit disappointing that my bad choice has only seemed to affect the cutscene I’ve seen at the beginning of the episode, especially considering the gravity of the situation. There’s still a chance a major event like this can affect events in later episodes, but this isn’t setting a good precedent about how important my decisions are. Hide and Seek ends up being much shorter than the first episode, having only three quests to complete instead of five. This does make a bit of sense, given that the first episode needs time to introduce most of the key players, but it still feels like Hide and Seek got cut short. It’s almost as if Big Bad Wolf thinks having five episodes is a requirement for narrative adventure games, but is having trouble making enough content to fit the mold. This extends into the puzzles for this episode. As one would expect, the puzzles in Episode 2 have become a little more intricate, with one big puzzle making up each quest. Like in The Mad Ones you can completely solve each puzzle without the use of special skills and Effort Points, but trying to do so can be incredibly difficult. Of the puzzles, I found the first two decent enough, but I found myself annoyed by the final puzzle, which didn’t offer much in the way of helpful hints even with Effort Point usage. The puzzle was even placed in a small but distracting hedge maze, as if to make the whole sequence longer than it needed to be. It felt like I needed some oddly specific knowledge of Greek mythology to solve it, and even with knowing the solution I don’t understand how all the pieces fit together, making the puzzle frustrating and unsatisfying. Now that Louis has gained some experience from the first episode, players get to use their skills a bit more effectively in Hide and Seek. Granted, there aren’t too many character interactions this episode, but being able to use the right skills at the right time plays a more important role here. There are going to be options that work better on some characters more than others, and areas of expertise that are going to be more useful for problem solving. Being able to use the right skills for the situation while minimizing Effort Point usage is of utmost importance as items become harder to find. That also means utilizing the journal more. The journal keeps track of what you’ve learned about each character, including what skills work best on them and what should be avoided. Additionally, since it’s a few months in between episodes, the journal is very helpful in remembering the best courses of action to take, and can be opened in even in the middle of conversations. Seeing Louis grow in the directions you’ve chosen and how it makes certain interactions easier and harder is the high point of Hide and Seek, and offers a lot of promise of how high the stakes situation will play out in later episodes. After the strong start with The Mad Ones, I can’t help but feel disappointed with Hide and Seek. My decision at the end of the first episode didn’t seem to have a long-lasting impression on my playthrough, and the episode felt like it was cut short, with a conclusion that felt a bit flat. While i still have hope for later episodes, Hide and Seek does not leave the same good impressions that The Mad Ones did, and tempers my expectations for the remainder of The Council. 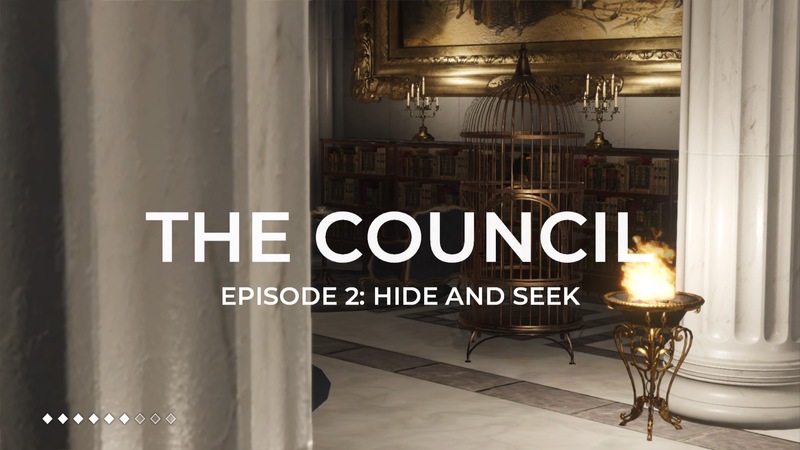 The Council Episode 2: Hide and Seek review code provided by publisher. Version 1.02 reviewed on PlayStation 4 Pro. For more information on scoring, please read our Review Policy.